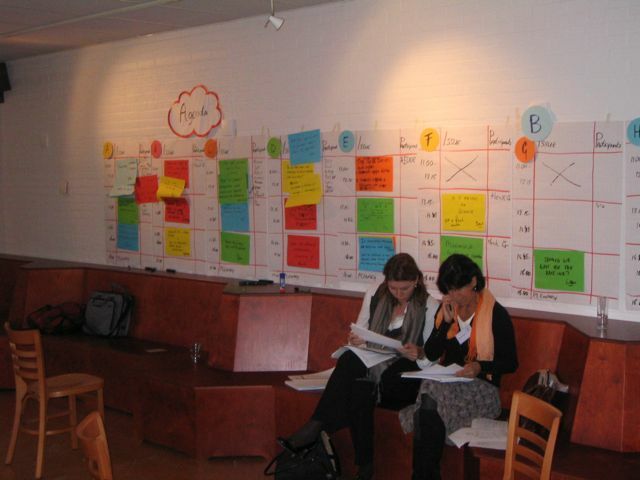 The central issue is identified in a preparation meeting. 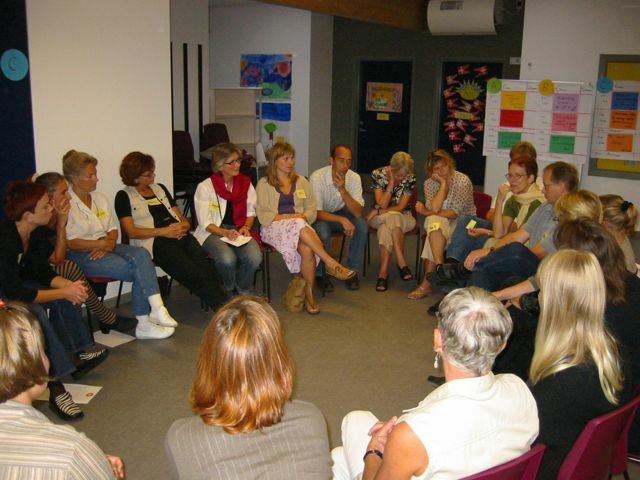 Both the issue as well as the invitation are formulated in such a way that those who are invited are inspired and focused. 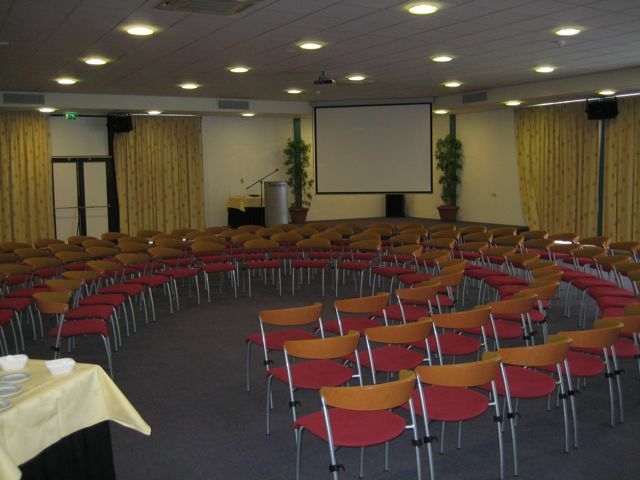 The invitation also clearly signals that the meeting will be unlike other meetings. 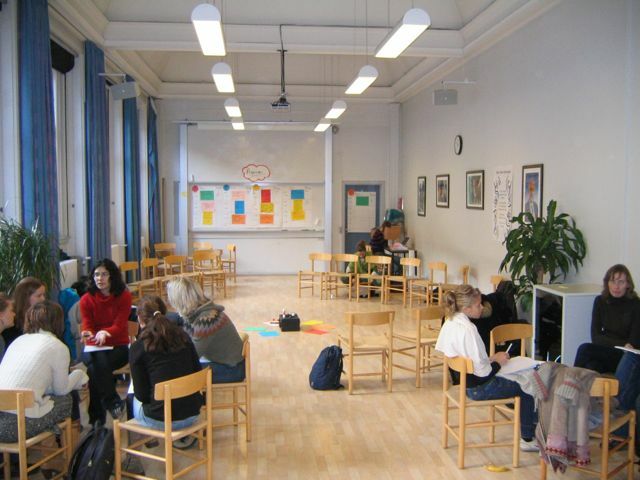 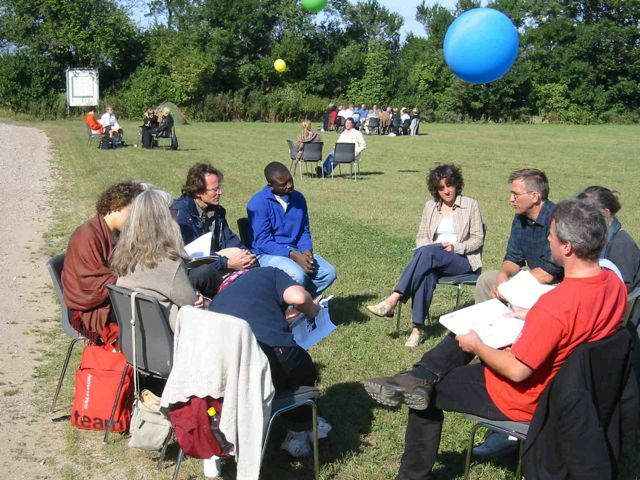 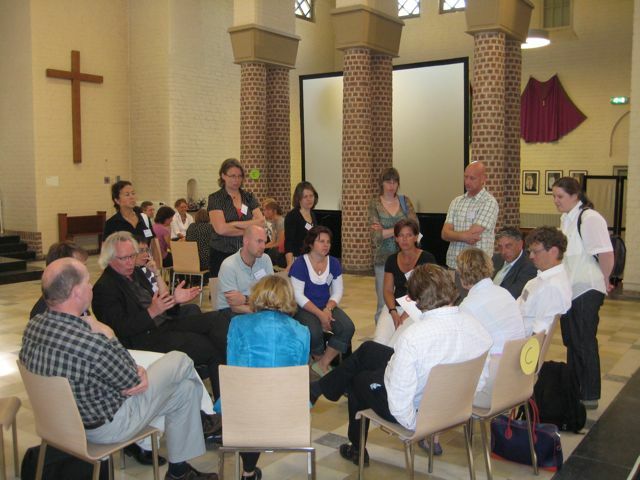 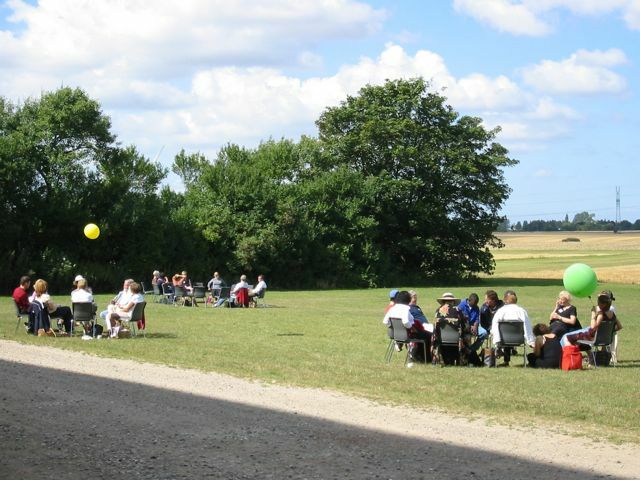 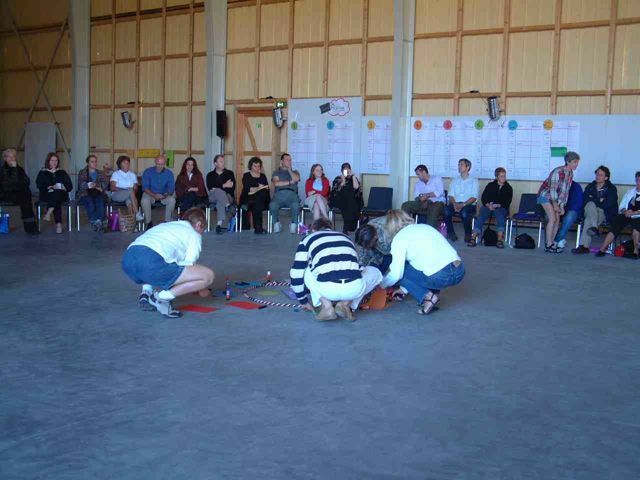 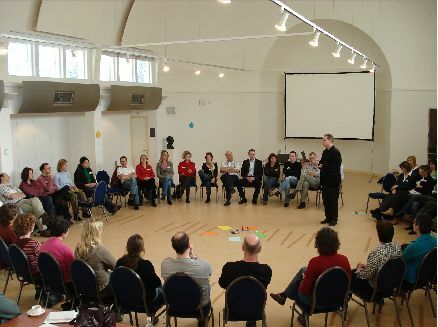 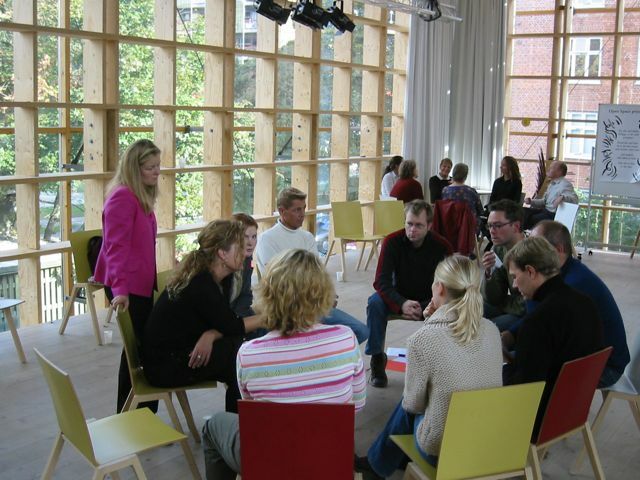 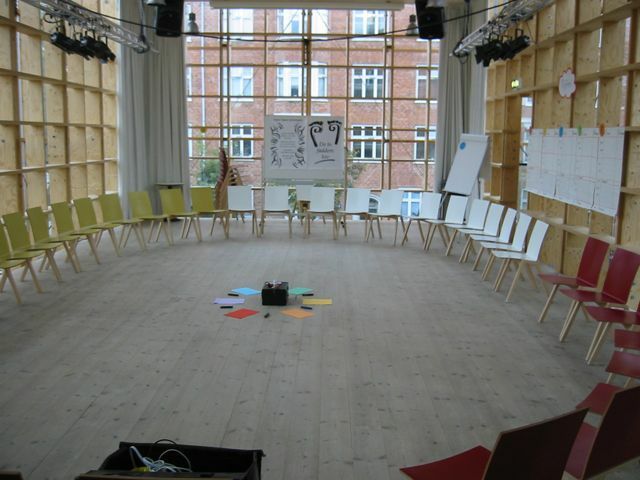 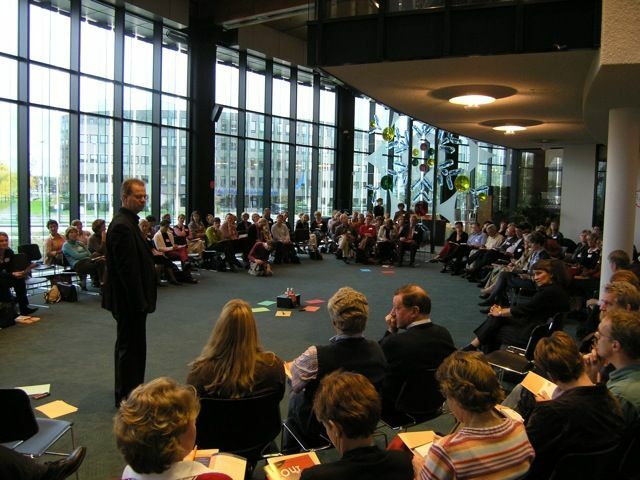 At the start of an Open Space, participants sit in a circle without tables. 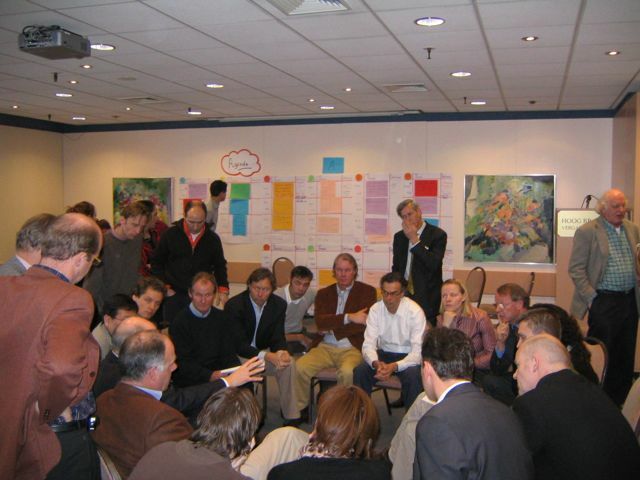 The host, usually the highest ranking person, makes a brief opening statement indicating the focus of the meeting and asking participants for their help. 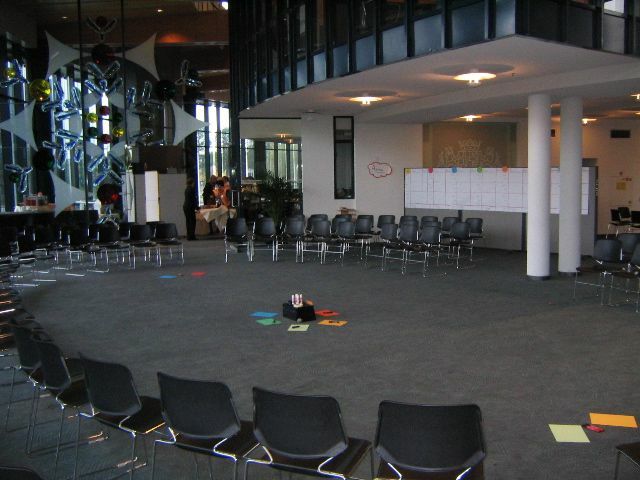 The facilitator then creates the Open Space and explains the framework. 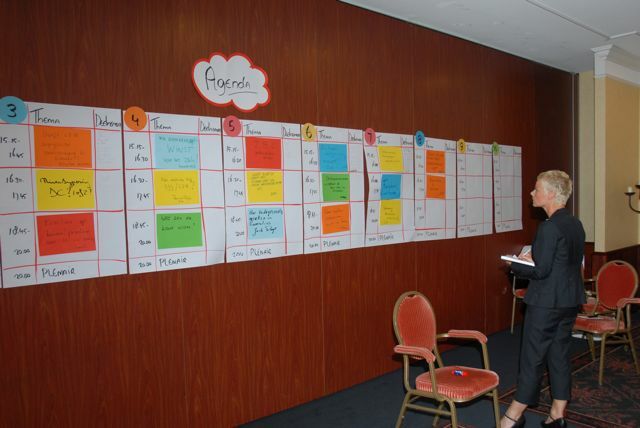 Participants then make the agenda, posting those items which they feel are most important to them personally. 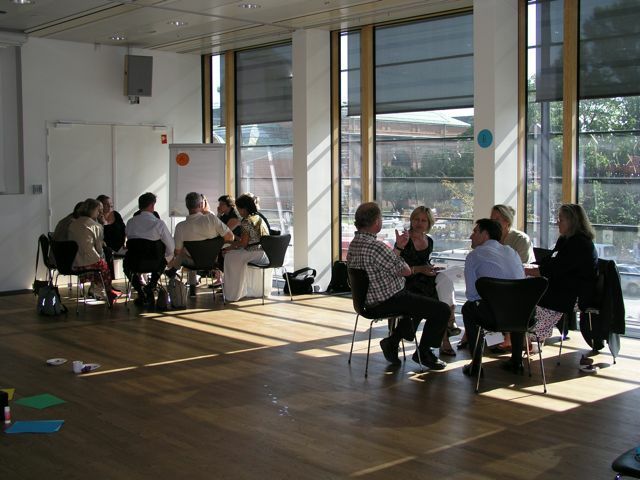 These can be ideas, proposals, problems, questions, solutions, hopes and worries, technical and practical issues and so on. 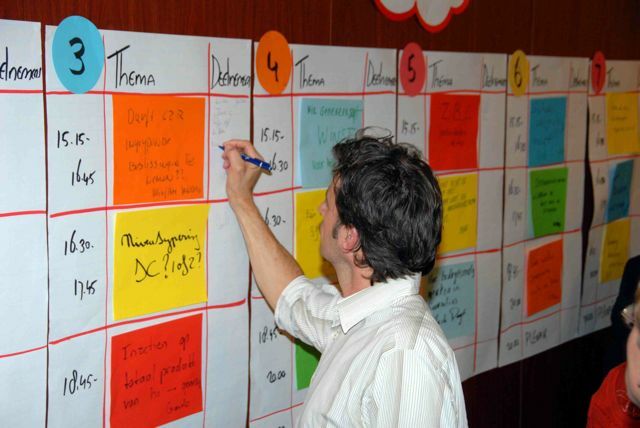 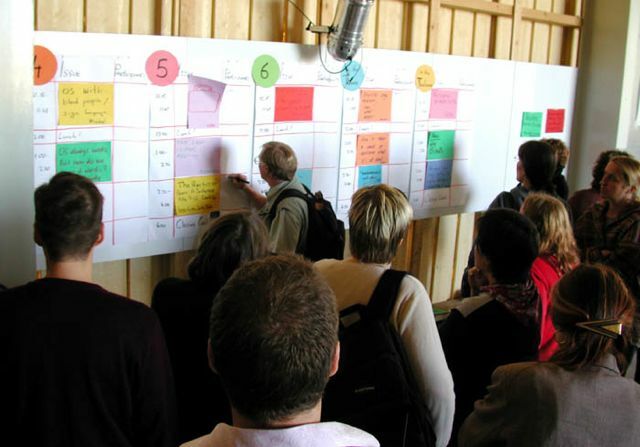 When the agenda is ready, participants decide what issue they want to discuss, sign up and start. 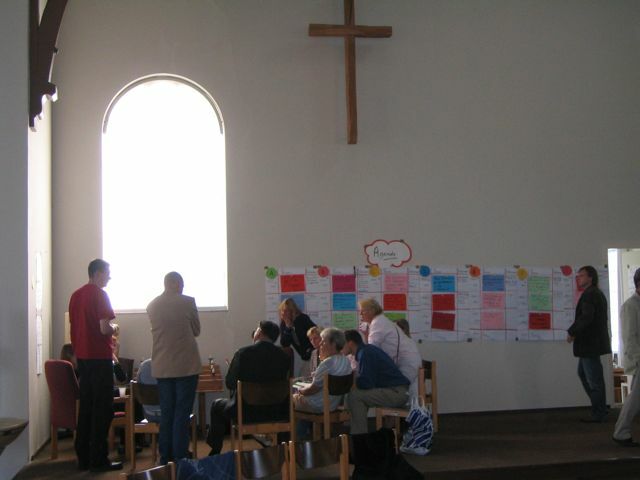 After all discussions have been finished, the report is handed out to all, a report which provides a good basis for later decisionmaking and follow-up. 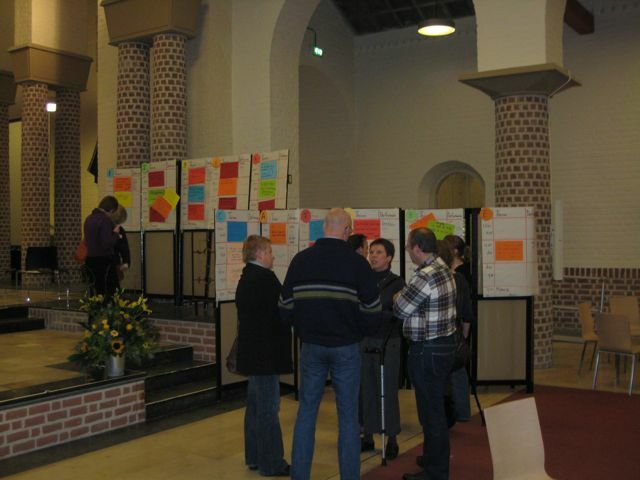 After the Open Space this report is analysed and follow-up actions are planned, as far as this has not been done yet during the Open Space itself. 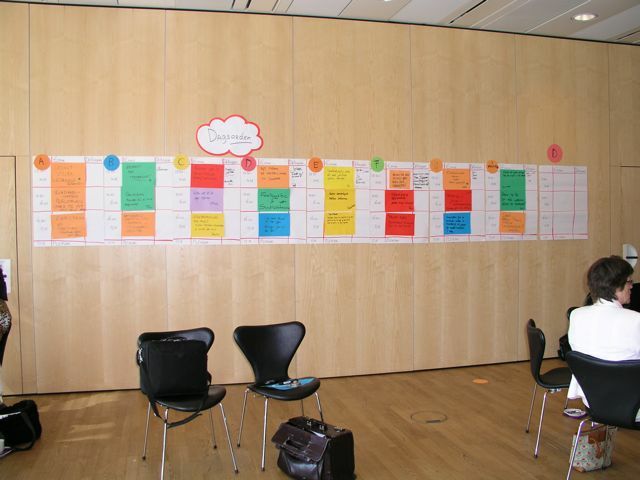 When the Open Space lasts more than one day, prioritisation and action planning are done by the whole group. 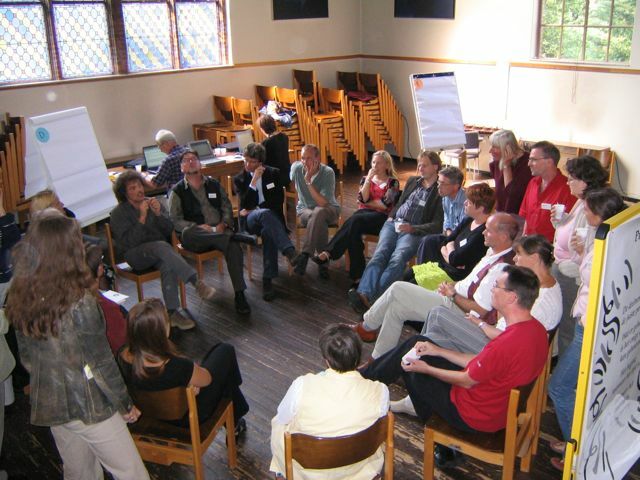 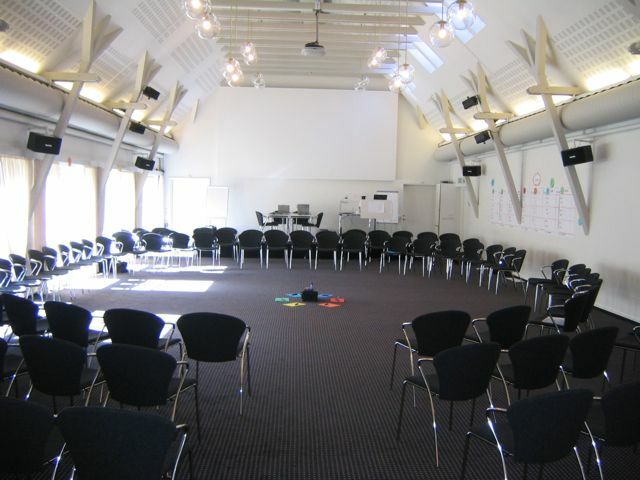 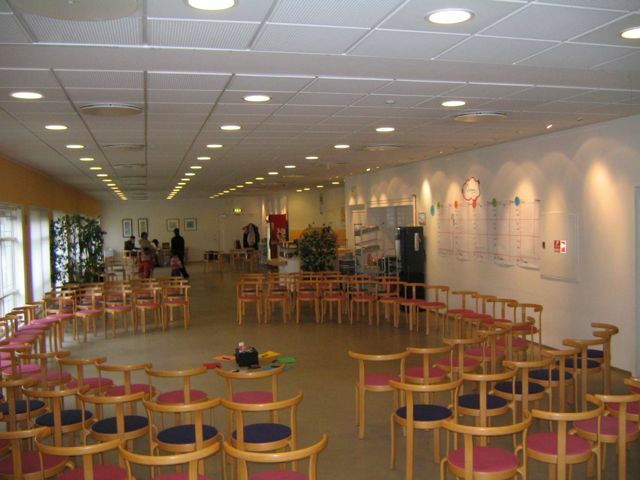 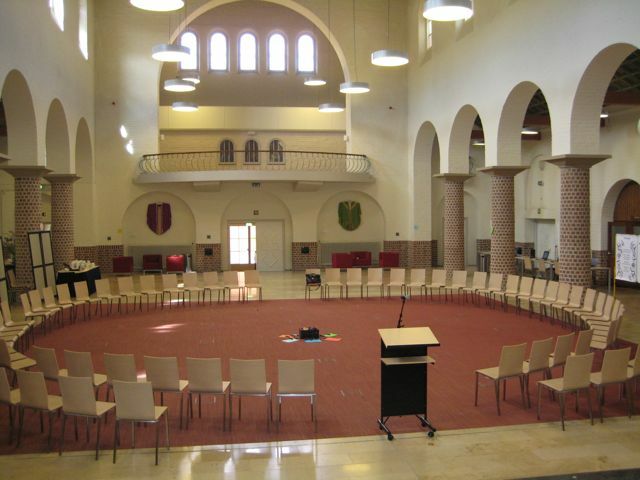 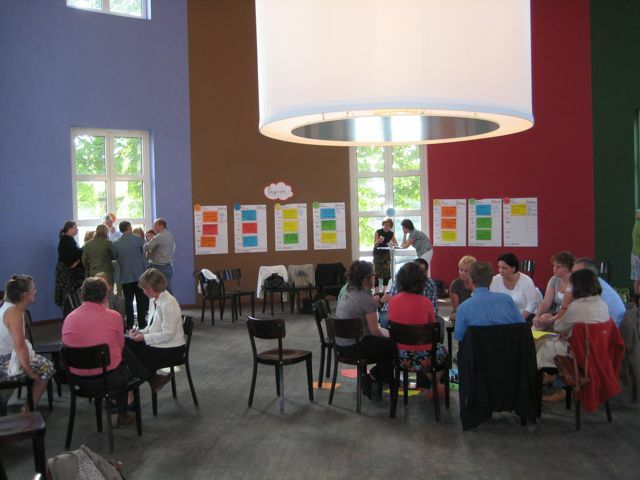 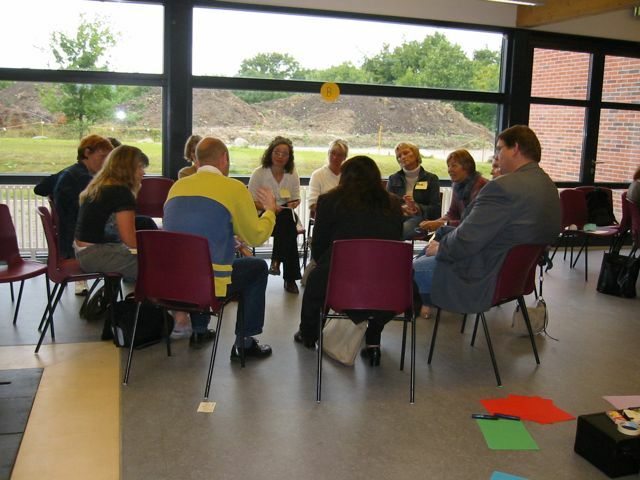 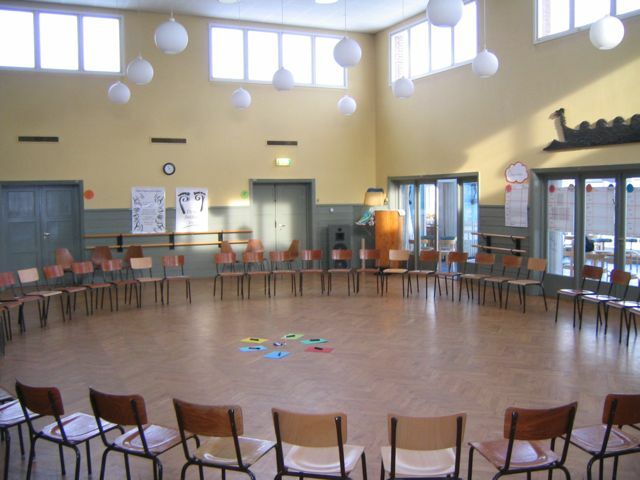 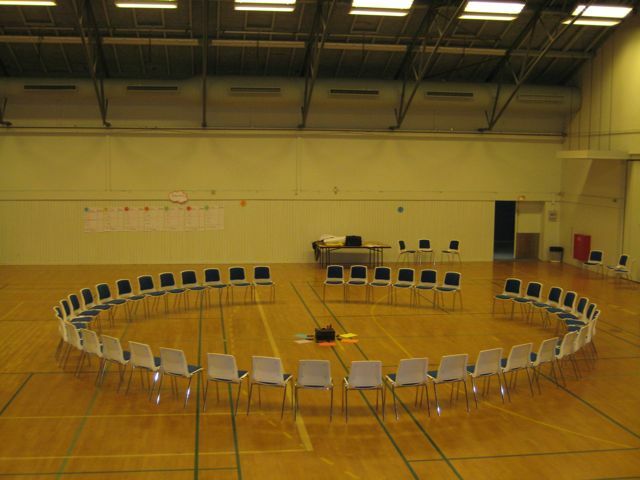 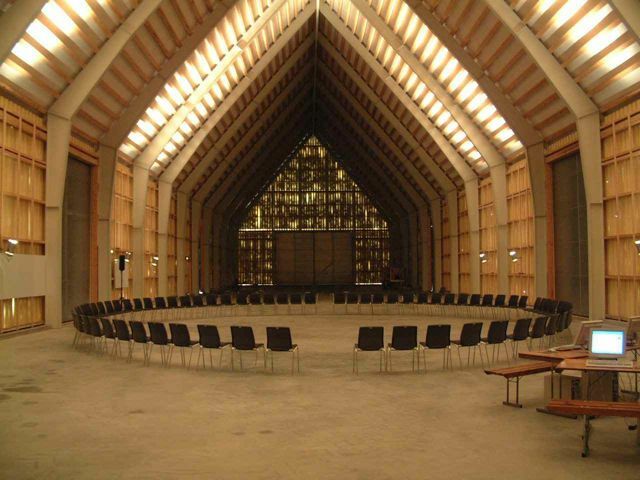 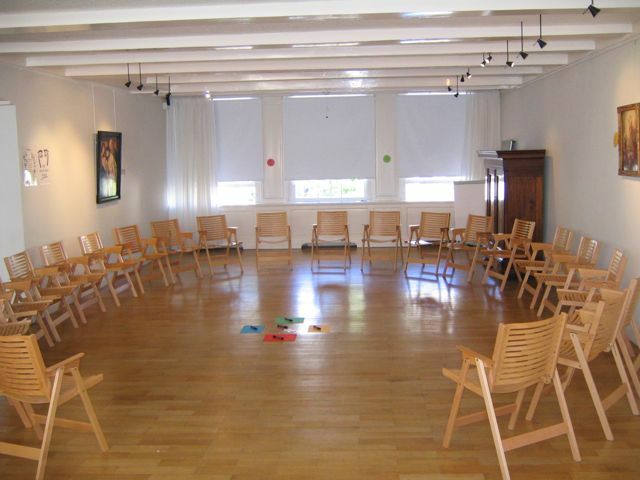 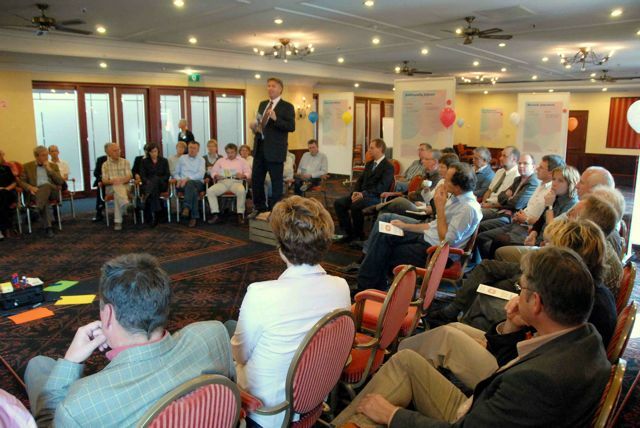 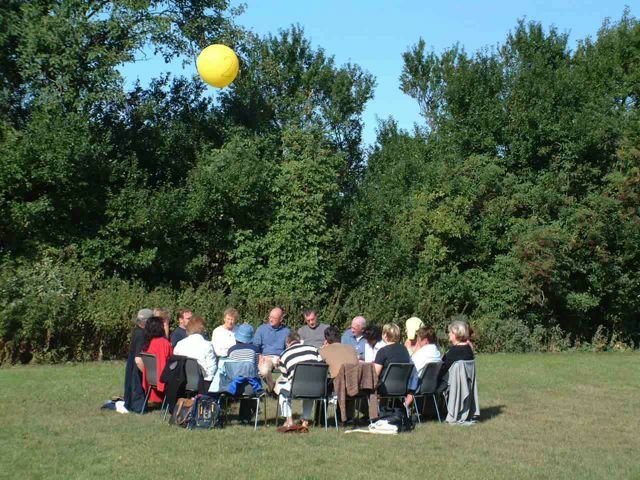 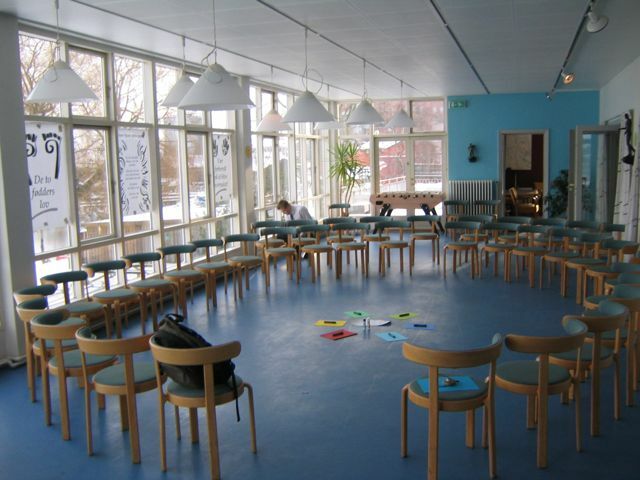 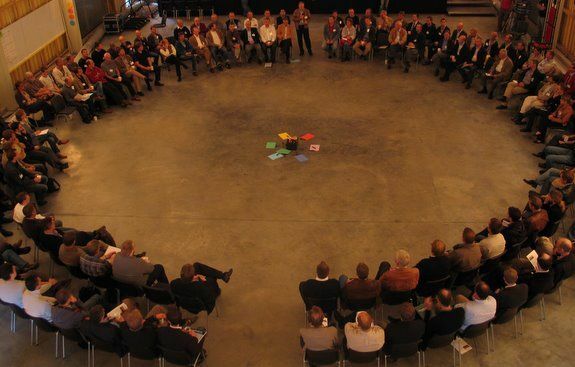 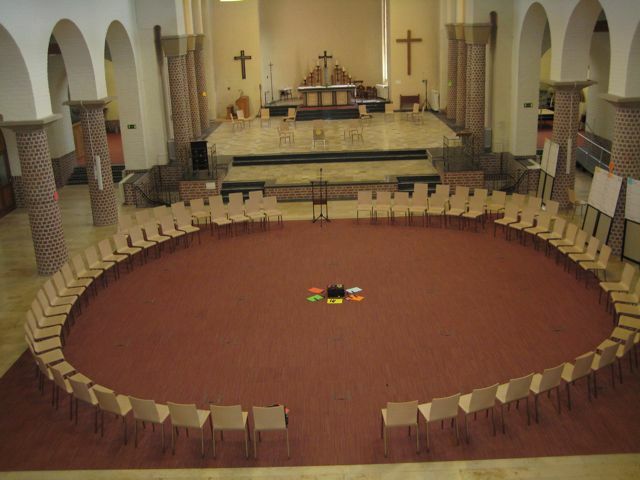 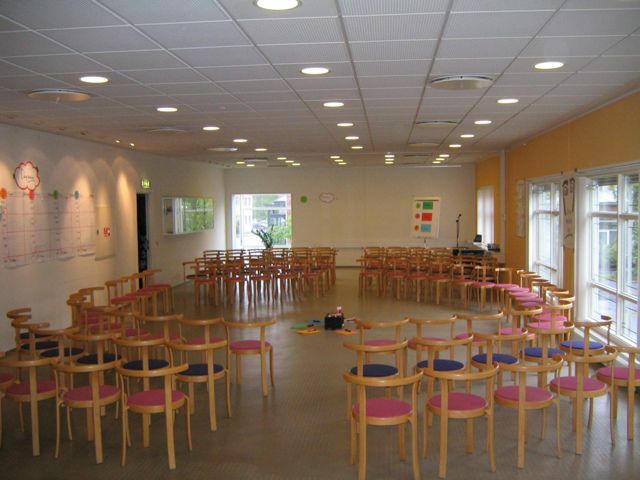 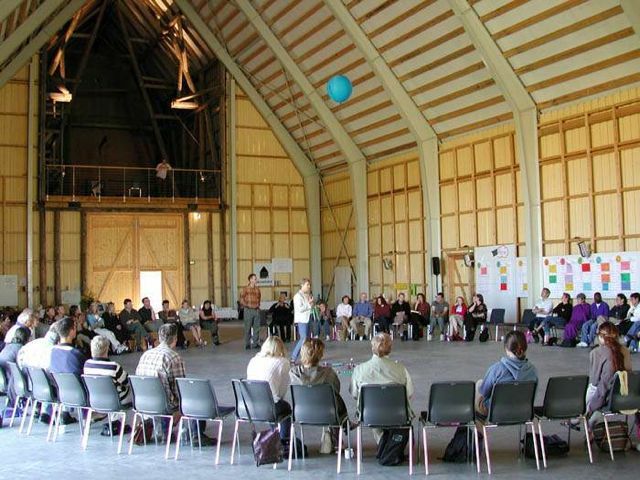 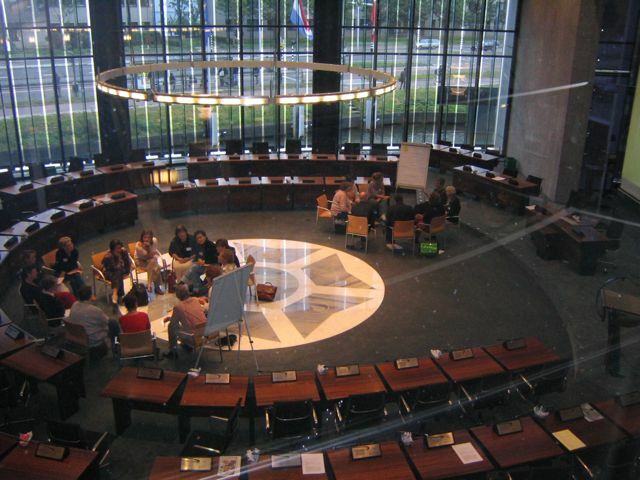 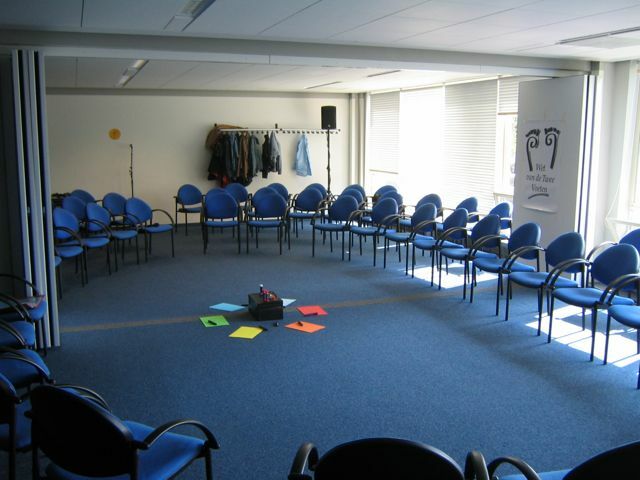 At the start of an Open Space meeting, participants sit in a circle of chairs – or several concentric circles. 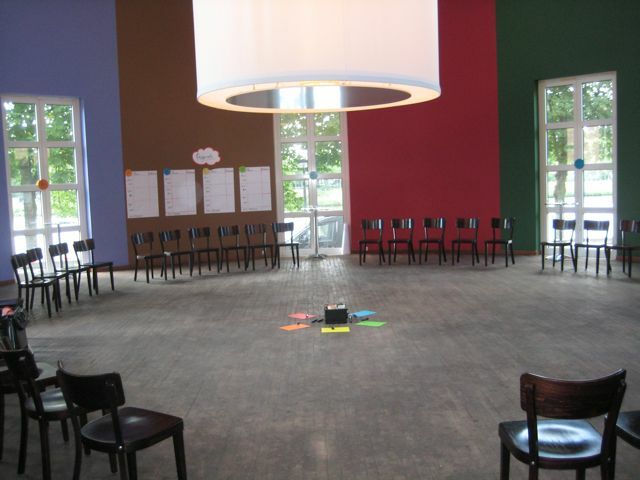 The facilitator ensures participants focus, opens the space and explains the process. 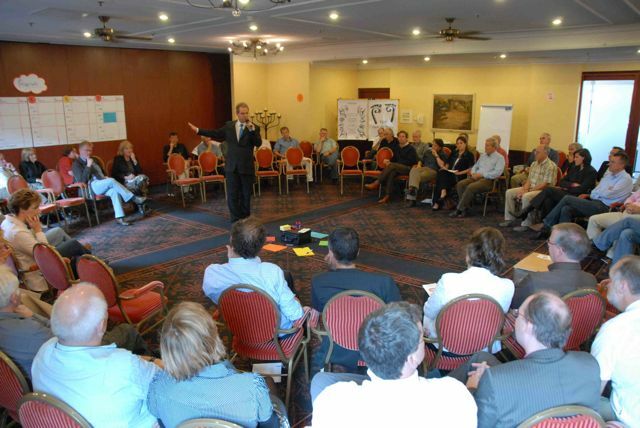 These may be ideas, problems, proposals, technical or practical issues or solutions. 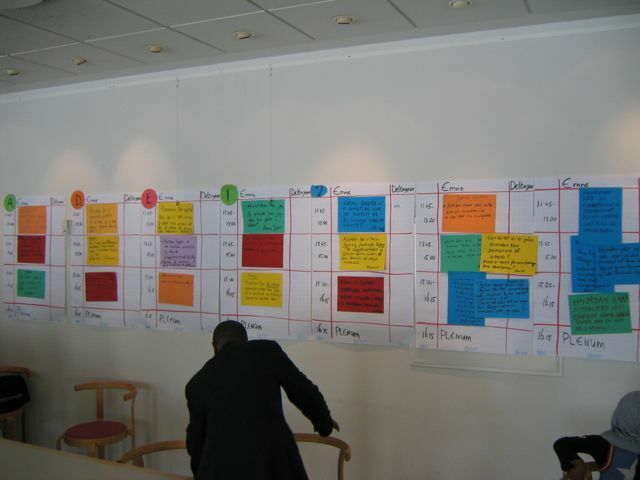 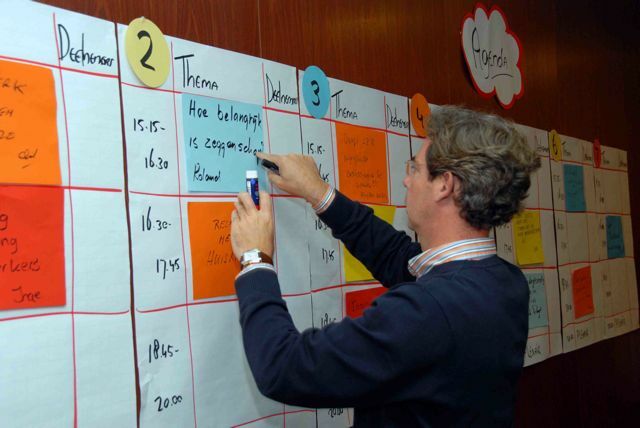 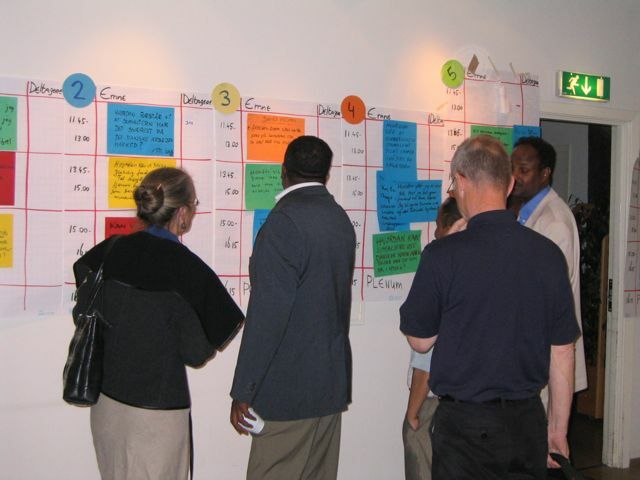 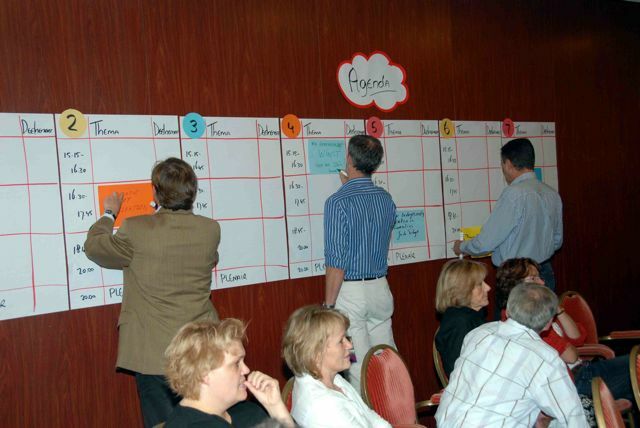 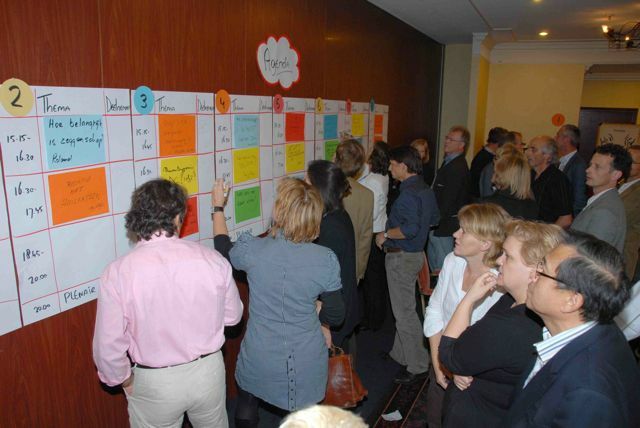 After the agenda has been made, participants go to it and discuss which discussions they want to participate in, and write their names next to the topics. 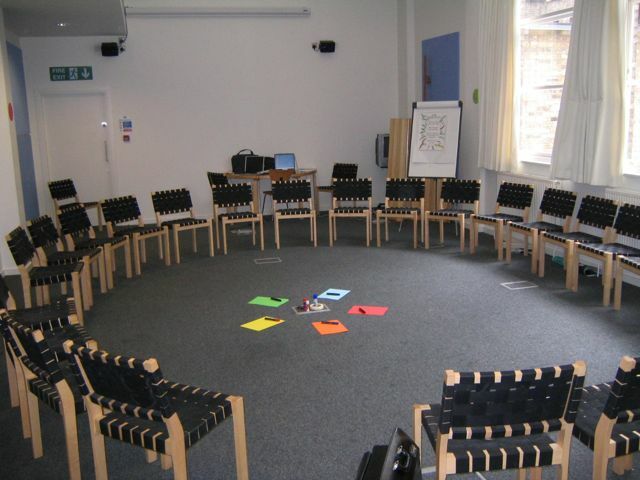 Groups which have been formed then get to work.